Brother MFCJ6930DW A3 35ppm Wireless Duplex Multifunction Inkjet Printer + 4 Year Warranty Offer! + $100 Cashback! + FREE 8GB Flash Drive! 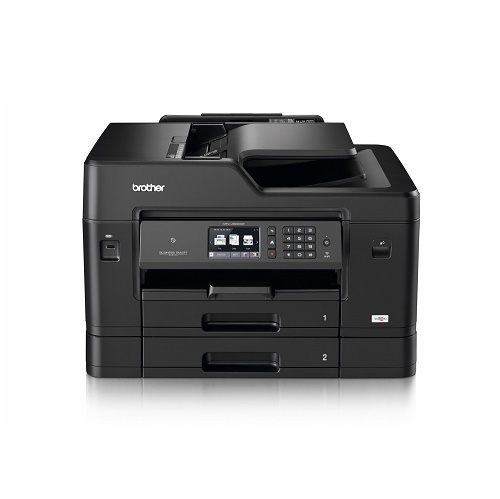 Purchase this printer and redeem a $100 cashback! Visit https://www.brother.co.nz/latest-promotions/labelling-promotions for terms, conditions, and redemption. Valid until the 30th of April 2019. Enhance your workflow capability with great paper handling capacity – a 250 sheet lower tray plus a 100 sheet multi-purpose tray – a large intuitive touchscreen and additional near field communication (NFC) connectivity. This all-in-one inkjet printer offers versatility with its full A3 capabilities, as well as double sided printing and scanning. Designed for medium to heavy print users, it’s high yield ink provides a cost-effective solution; great for your bottom line. With 256MB of memory and fast first page out time (FPOT), this printer is the perfect addition to your home or small office. • Print, Copy, Scan, Fax up to 11"x17". Ledger-size scan glass and up to 50-sheet ADF. 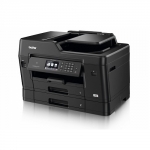 • Think two-sided: Single-pass duplex scan/copy and automatic two-sided printing. • 500-sheet dual paper tray total capacity accepts up to 11"x17". Added convenience of up to 100-sheet multi-purpose tray for optional capacity and printing on envelopes and card stock. • Built for business performance. Spend less time waiting on printouts for when you need your documents fast. • Great ink produces great results. Sharp black text and high impact color documents on plain paper. • Super High-yield replacement ink cartridges offer additional page yields and help lower printing costs. • Print and scan from almost anywhere - smartphone, tablet, laptop, and desktop computer. Added convenience of NFC "touch to connect" printing and scanning. • Break free and go wireless. Enjoy the freedom of wireless connectivity - and no router needed with Wi-Fi Direct. • Scan to popular cloud services directly from the machine, including Google Drive, Dropbox, Evernote, and more. Capture and digitize paper documents with Brother Cloud Apps for electronic storage or sharing. 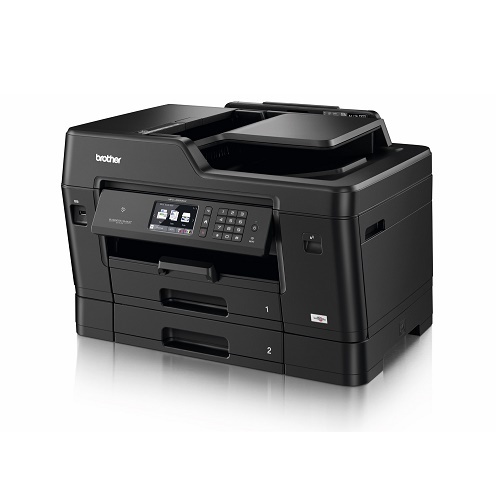 Is the Brother MFCJ6930DW printer able to print, copy, scan and fax A3 documents?